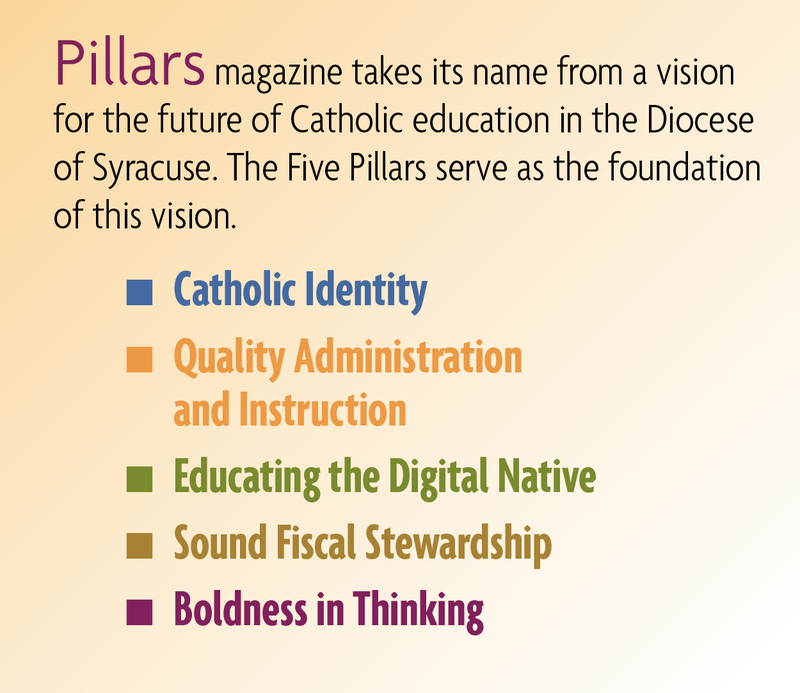 In March 2014, the Catholic Schools of the Diocese of Syracuse will welcome a new leader, as William W. Crist takes over as superintendent of schools. A graduate of Ithaca College, Crist brings with him 31 years of experience in education — from classroom teacher to superintendent of schools for the Oswego City School District. Raised Catholic in Oswego, NY, Crist has been married to his childhood sweetheart, Carol, for 30 years. The couple has two children, Emily, a recent graduate of Le Moyne College; and Billy, a student at SUNY IT. 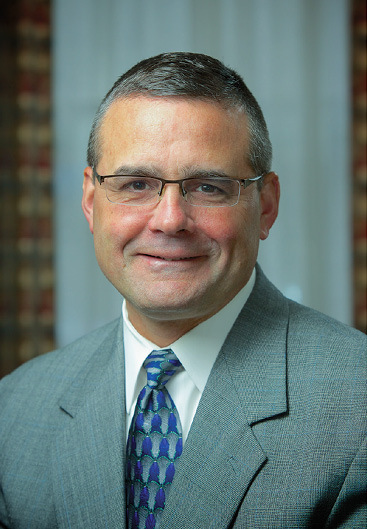 Crist will join the Catholic Schools Office this spring after completing his commitment as interim superintendent of the Massena Central School District in northern New York. As he prepares to take on his new role with the Catholic schools, he shared some of the philosophies and goals he brings to his new role as superintendent of Catholic schools. You’ve spent your career in public school education. What sparked your transition to Catholic education? I really do believe things happen for reason. I was raised Catholic, but I never attended Catholic school. I’m public school educated, and I’ve been working in public schools all my life. When I heard that the diocese was looking for a new superintendent, I was intrigued — but the timing was not good. I took a chance though, and I’m happy to say it worked out. It’s interesting to me to have the opportunity to bring my expertise as an educator together with my Catholic faith. What goals do you intend to bring to the 22 schools in our diocese? I’m looking forward to better understanding the priorities of Bishop Cunningham and all of those who are essential to making the schools a great success. I can’t wait to work with individual schools to better understand their values and listen to what each thinks it needs to be successful. I want to make sure our Catholic education system is properly funded, not only in classroom resources, but in professional development and the ability to attract and retain quality teachers in our schools. I hope to pursue further relationships with higher education, particularly Le Moyne College, in order to ensure that our students can make a successful transition to college and have the opportunity to further their education in the faith. And, I want to continue to promote Catholic education as a great value and show how it enhances the lives of student and the families. After spending three decades working with schools, what do you consider some of the vital elements of a successful education system? I am a strong believer in the common core and being competitive as a nation. It’s key to preparing our children to be strong people in a strong society. Students need to be prepared not just for meeting the requirements of a certain grade level, but for life — through a strong curriculum that is grounded in character building and the teachings of the Catholic faith. We need to be sure students are in an environment that allows them to successfully interact and have positive relationships with their teachers. And, we need to foster a greater sense of community and a real sense of pride in our schools. Do you have a particular philosophy with which you approach your job? I have a joy in seeing people succeed. I hope to be out in the diocese and visible at all of our schools witnessing this success and collaborating with principals, teachers and families to promote even greater levels of success. I like providing resources and access to our teachers and principals so they can do their own things, make their own decisions — and I’m fine with allowing people to learn from their mistakes. I like to say, ‘Erasers are good things to have on pencils,’ as long as you’re learning from the mistakes. It helps us all grow. I certainly don’t intend to come in and try to reinvent Catholic education. There’s a great model and a lot to be very proud of as a system, as is evident in the 22 outstanding schools we have here in the diocese and the wide reaching pool of alumni who are proof that Catholic schools work. I want to partner with others within the diocese to show what a great value Catholic education brings to students, families and our community. And, of course, I want to ensure that our students are getting the very best education possible — based on strong academics and a vibrant community of faith.